HOLYOKE — Activists who pushed for years to end the coal-burning operation at the Mount Tom Power Station based on health concerns are so happy the plant owner is building a solar farm, they plan to party. “Five years after Action for a Healthy Holyoke! began organizing for responsible retirement of the Mount Tom coal plant, the company is breaking ground on a solar farm at the site. We will be popping some champagne, eating food and sharing reflections on the work,” a press release from activist groups said. Members of groups like Neighbor to Neighbor and Toxics Action Center will celebrate on Thursday at 11:30 a.m. at Fiesta Cafe at 305 Main St., the press release said. That will be after plant-owner ENGIE North America, formerly GDF SUEZ Energy North America, holds a groundbreaking at 10:30 a.m. for the Mount Tom Solar Farm. The solar power facility will be on 22 acres of the 128-acre site along the Connecticut River at 200 Northampton St. near the former coal plant. Two employees will work at the new Mount Tom Solar Farm but it will be run remotely by a power station in Fitchburg, company spokeswoman Carol Churchill said. The company runs solar facilities this way in Northfield, Massachusetts and Ontario, Canada. The coal plant operated only sporadically in its later years and closed in late December 2014, putting 28 people out of work. The plant closed because burning coal to produce energy was too expensive in the face of the cheaper alternative of natural gas, officials have said. Concerns about breathing difficulties, kidney disease, high blood pressure and other health problems related to exposure to coal-burning plants prompted activists for years to push for the Mount Tom Power Station and other coal plants to end such operations and switch gears to different forms of energy production. 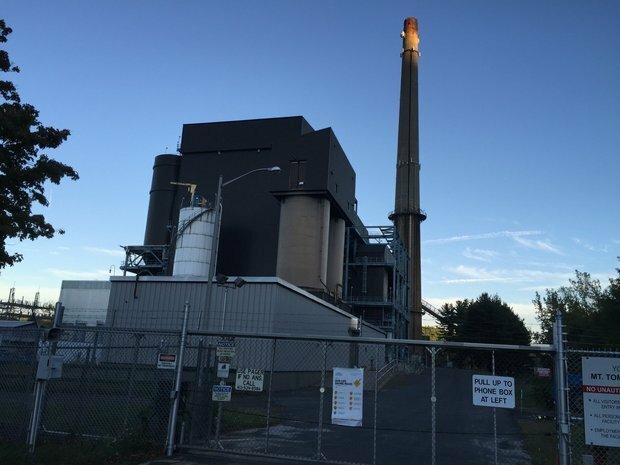 Mount Tom Power Station officials said over the years the plant heeded state and federal emission standards. Demolition of the buildings and smokestack used for coal burning is scheduled to begin in the spring, Churchill said. The Mount Tom Solar Farm will consist of 17,208 solar panels. Solar panels are devices that convert light into electricity. The new facility will produce 5.764 megawatts of electricity. The strength of solar energy varies from state to state based on average sunshine, average household energy consumption, temperature and wind, according to the Solar Energy Industries Association (SEIA) of Washington, D.C. The current national average of homes powered by one megawatt of solar power is 164, the SEIA said.